Shoes, umbrellas and coats - oh my! Everyone has one, whether they call it a mudroom or not. It's that spot where you find the dirty soccer shoes, the snow-covered boots and dripping umbrellas. Think how much easier life would be if it was organized and, indeed, there was a place for everything and everything was in its place. 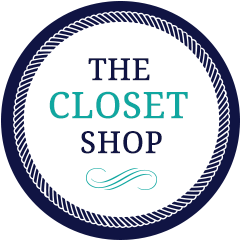 Let The Closet Shop make that dream a reality. With 11 designs and six colors to choose from, we can help you transform the cluttered space into an efficient, functional and organized one. From benches, shoe cubbies and hooks to adjustable shelves, our designs are customized to meet your individual needs. As always, all The Closet Shop products come with a lifetime warranty.